DAVENPORT, IOWA (Oct. 2) – After more than 63,260 total online votes were cast, Special Olympics Iowa, based in the Des Moines area, was proclaimed the winner of the 10th annual Make My Non-Profit Run Better contest. Representatives from RK Dixon and Premier, leading providers of copiers, printers, networks, managed print services and pure drinking water systems, announced on WOI-TV this morning that Special Olympics Iowa – a non-profit that provides year-round sports training and competition for children and adults with intellectual disabilities – is the grand prize winner of a $15,000 office technology makeover. Special Olympics Iowa will receive the $15,000 office technology makeover. Marshalltown Christian School will receive a printer valued at $1,000. Iowa Able Foundation will receive a printer valued at $1,000. Foster Pet Outreach will receive a multi-function device valued at $10,000. St. Mary’s School will receive a printer valued at $1,000. The DAX Foundation will receive a printer valued at $1,000. Alternatives Pregnancy Center will receive a multi-function device valued at $5,000. Genealogical Society of Linn County, Iowa will receive a printer valued at $1,000. Area Substance Abuse Council will receive a printer valued at $1,000. Timber Lake Playhouse will receive a multi-function device valued at $5,000. Humane Society of Rock Island County dba Quad City Animal Welfare Center (QCAWC) will receive a printer valued at $1,000. Quad Cities Golf Classic Charitable Foundation will receive a printer valued at $1,000. Noah’s Ark Animal Sanctuary will receive a multi-function device valued at $5,000. Reformers Unanimous will receive a printer valued at $1,000. Boys and Girls Club of Freeport and Stephenson County will receive a printer valued at $1,000. Refuge Ranch will receive a prize valued at $5,000. Lawrence/Crawford Association for Exceptional Citizens will receive a printer valued at $1,000. Mini O’Beirne Crisis Nursery will receive a printer valued at $1,000. 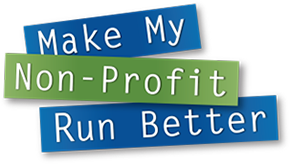 The Make My Non-Profit Run Better contest was established by RK Dixon 10 years ago to give non-profits a chance to win free office equipment and technology solutions to help them run better. RK Dixon and Premier representatives will visit the 18 prize winners in the upcoming weeks to assess technological needs, and install equipment to fulfill each organization’s office and technology needs. The 2015 Make My Non-Profit Run Better contest began with 199 non-profits entering from across Iowa, Illinois and southern Wisconsin for their chance to win the $15,000 makeover. Organizations then encouraged their supporters to vote online at www.MMNPRB.com. Votes were counted electronically, and the contest was narrowed to 30 finalists after a second round of online voting. RK Dixon and Premier are partnering with WIFR-TV, WEEK-TV, KWQC-TV, KCRG-TV, WOI-TV and WICS-TV for this year’s Make My Non-Profit Run Better contest.